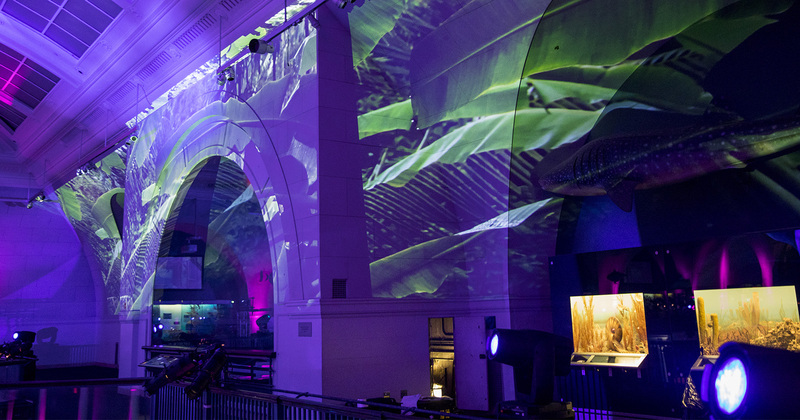 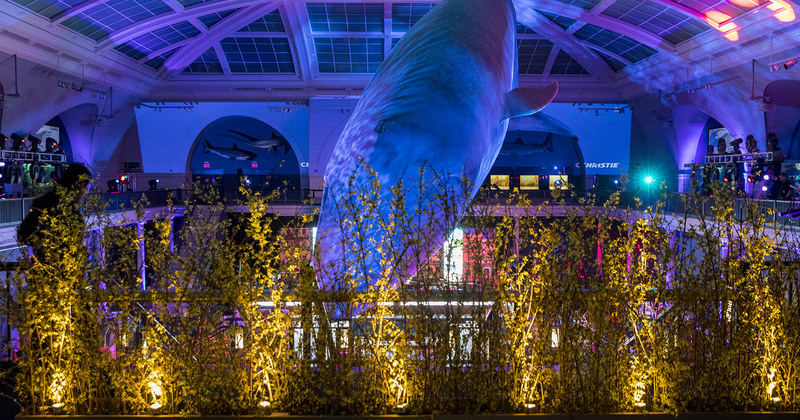 The Milstein Hall of Ocean Life at the American Museum of Natural History is home to one of the institution’s most celebrated displays — a 94-foot-long, 21,000-pound fiberglass blue whale that floats above the hall, suspended from the ceiling. 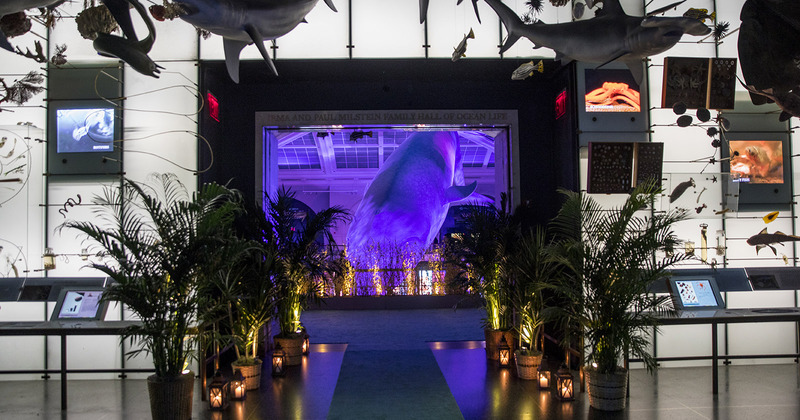 Flanked by models of more than 750 sea animals, the hall is an interactive experience that immerses visitors into the remarkably diverse and complex world of marine life. 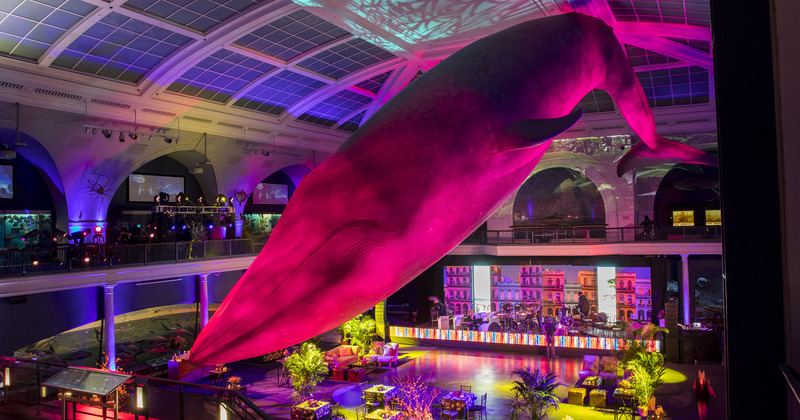 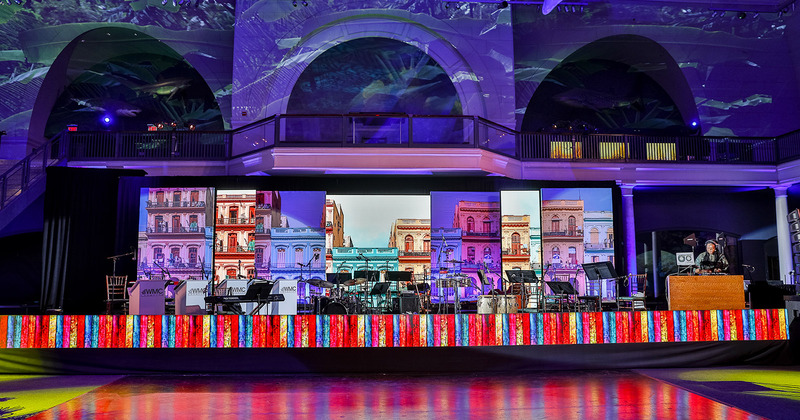 This iconic museum is such a pleasure to work with, as much for its many amazing exhibits and stunning features as for all the ways we can supplement the setting with lighting, audio, and video. 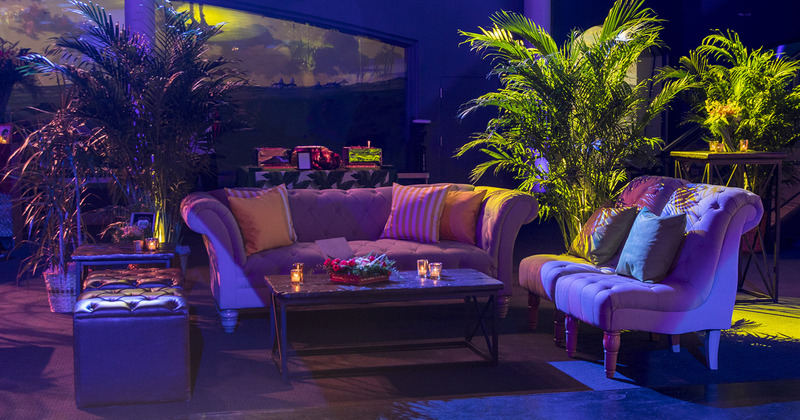 For the Spring Showcase, we brought the evening’s theme, ¡CUBA!, to life with large-scale video projections on the balcony walls, ambient lighting throughout the space, a custom designed stage featuring video wall solutions, dynamic lighting for the dance floor, and audio support for all the evening’s bands and entertainment.